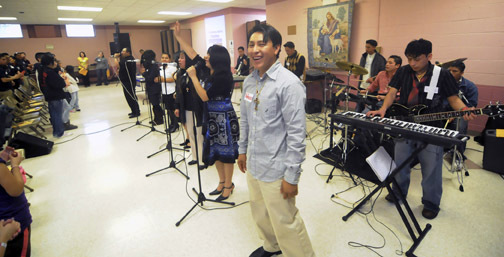 Celebrating the joy that “Jesus Makes Us Free,” Hispanic youth and young adults gathered on Saturday, March 13, at St. Martin de Porres in Hammonton to share their faith. At left, the musical group for the day entertains the crowd, as evidenced by, below right, participants singing joyfully to the music. 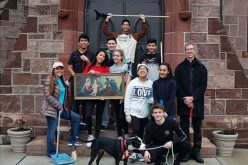 Some 150 Hispanic youth and young adults participated all day Saturday, March 13, in a Hispanic Ministry Retreat held at St. Martin de Porres, Hammonton. 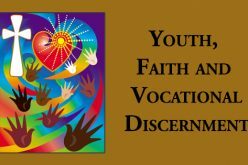 Youth and young adults came from Corpus Christi, Carneys Point; St. Joseph’s, Swedesboro; Immaculate Conception, Bridgeton; Our Lady Star of the Sea, Atlantic City; St. Anthony of Padua, Camden; Our Lady of Guadalupe, Lindenwold; St. Cecilia, Pennsauken; and Our Lady of Victory, Landisville. 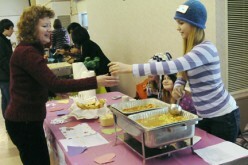 Held from 10 a.m.-5 p.m., the day, whose theme was “Jesus Makes Us Free,” included faith sharing, discussions, and short skits performed by two parish groups. Our Lady of Victory youth and young adults depicted Jesus’ healing of the blind man, Bartimaeus, and Immaculate Conception members put on a skit portraying Jesus’ raising Lazarus from the dead. After his talk, a few youth and young adults gave witness talks, depicting struggles in their own lives, and how Jesus has made them free. There was also music and entertainment, reconciliation and Mass concelebrated by Father Canales, Father Ronald Falotico, parochial vicar, St. Joseph’s, Hammonton; Father Thomas Donio, administrator, St. Martin de Porres; and Father Walter Guasp Santos, parochial vicar, Our Lady of Guadalupe. 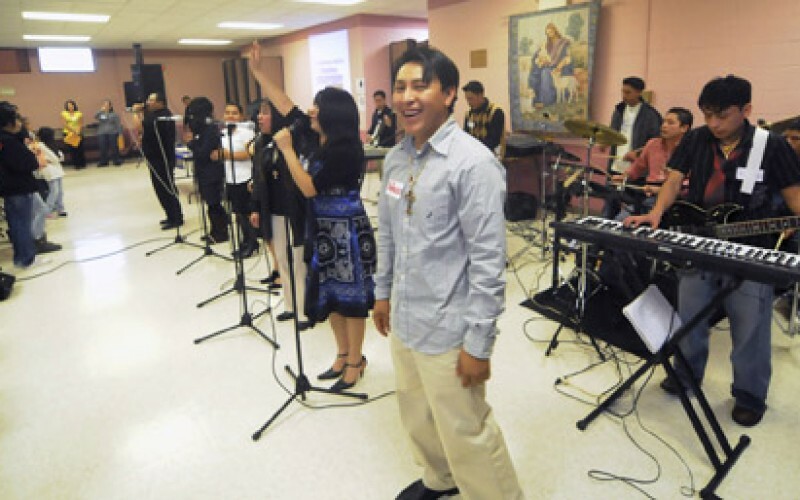 “It was very enlightening to see how youth and young adults in Hispanic Ministry are very much in love with the God of life, in light of their struggles and challenges,” remarked Sister Sonia Avi, associate director of Hispanic Ministry for the Diocese of Camden.